The Playa de las Delicias is one of the best known and most used of all of those along the south-and east-facing coastline of the municipality of Águilas, and has boasted a Blue Flag in recognition of the services and facilities on offer since 1992. 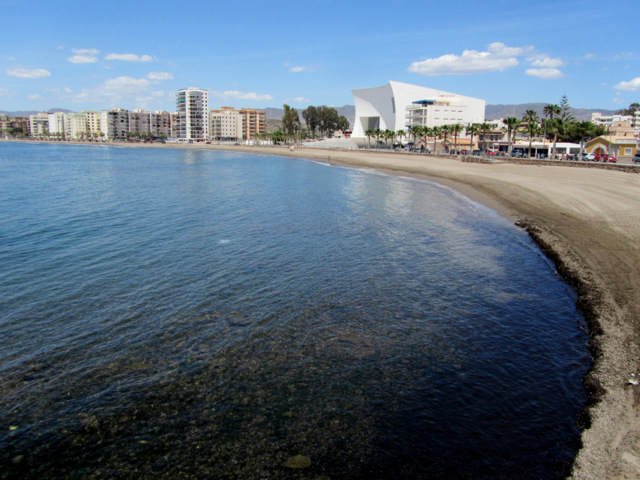 It is possibly the best equipped of all Águilas beaches, and its attractiveness has been one of the main reasons for urban development in Águilas having spread over recent years towards the east as far as El Hornillo and beyond. 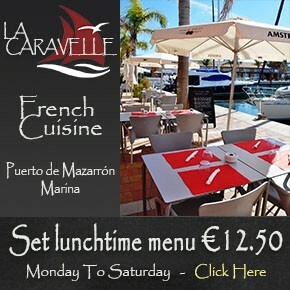 The beach lies alongside Calle Aire, and is easily reached for those approaching from outside the town: follow the main ring road around to the east, under the old railway bridge, and parking is normally available either along the seafront or in the residential streets just behind. Since the construction of the Auditorio Infanta Elena and the inauguration of the CIMAR aquarium and museum this has become a natural part of Águilas for visitors to head for, and the presence of the Águilas Plaza shopping mall only a couple of hundred metres away also means that there are more people here than ever before (as well as providing a back-up for parking needs!). The beach is an impressive 800 metres long and follows the sweeping curve of the bay between the headland at the eastern end and the marina to the west, on the other side of which lies the Playa de Levante. The complete range of services is on offer at Playa de las Delicias in summer, including foot showers, beach football and volleyball, beach bars, lifeguard and first aid points. Services for the disabled include parking spaces, access ramps and an amphibious bathing chair, and the Q for Quality flag is also flown in recognition of the services provided. 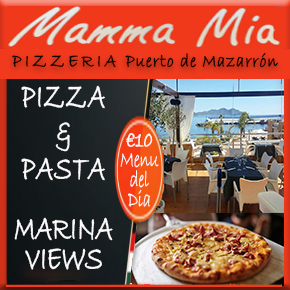 As at all of the beaches in Águilas these services are available all day and every day in summer between 11.00 and 19.00, and on a more limited basis during December, January, June, Easter and Carnival week. The beach is cleaned daily in the summer, and water quality checks are carried out every week during peak season and every month throughout the rest of the year. Although the services on the beach itself are excellent, it has to be said that the development behind it is mostly residential. 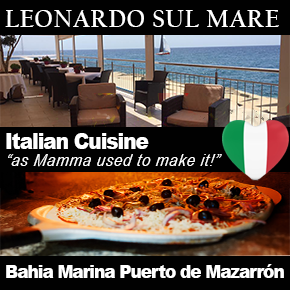 There are a few beach-front restaurants, but small shops are few and far between: of course this is compensated for by the shopping centre a few hundred metres away. 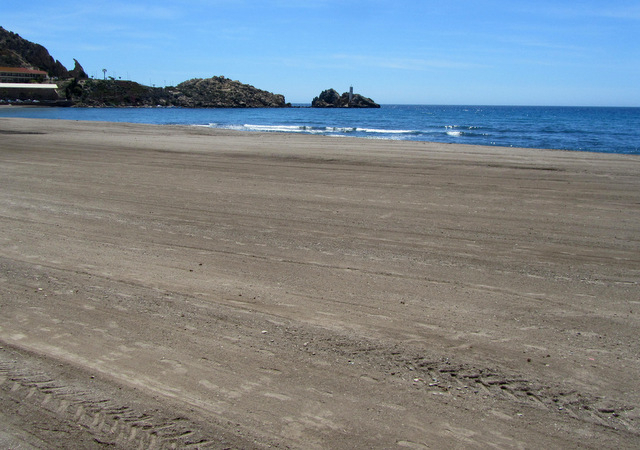 All in all this is one of the most popular beaches in Águilas and is highly recommended for visitors. 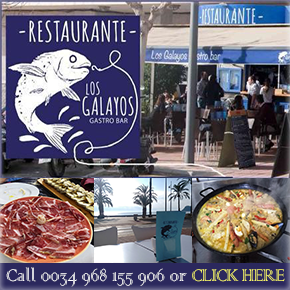 Certainly it’s a little way away from the castle, the tourist office and the restaurants of the town centre, but nonetheless this is an interesting and attractive part of Águilas, and can easily be included as part of a day out along with the CIMAR and the Rincón de Hornillo. The map link shows the beach in front of the Auditorio Infanta Elena.